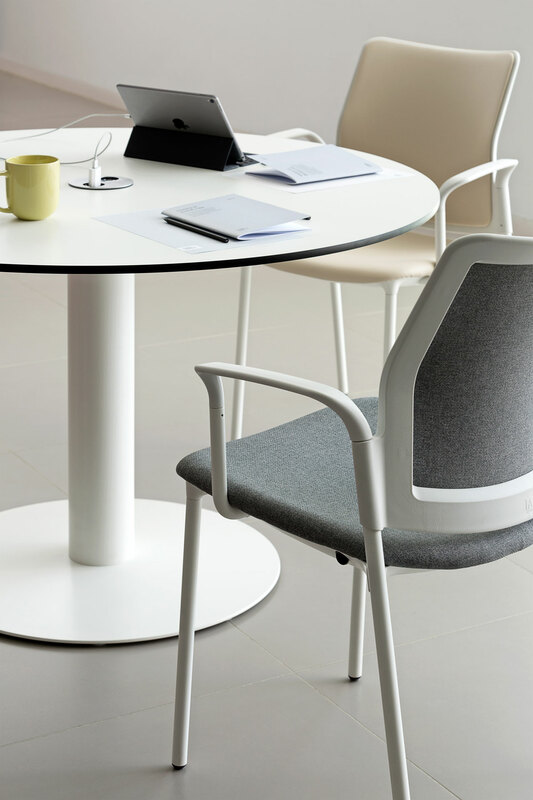 The Züco Visita brings to the table a light and refreshing look and feel to a conference or meeting area. The clear design lines exude a light heartedness combined with demonstrative independence, and add a touch of character to every space. Best of all Züco Visita harmonises with ease into any surrounding furnishings to form a cohesive whole. 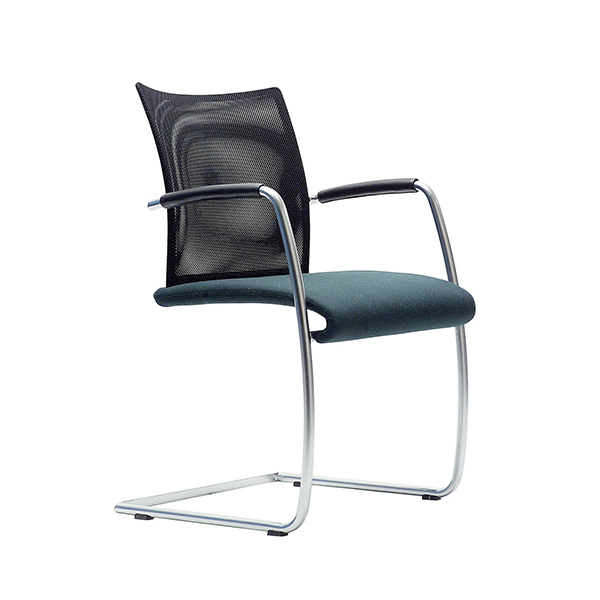 Base available as a cantilever, 4-leg on glides or 5-star on castors. 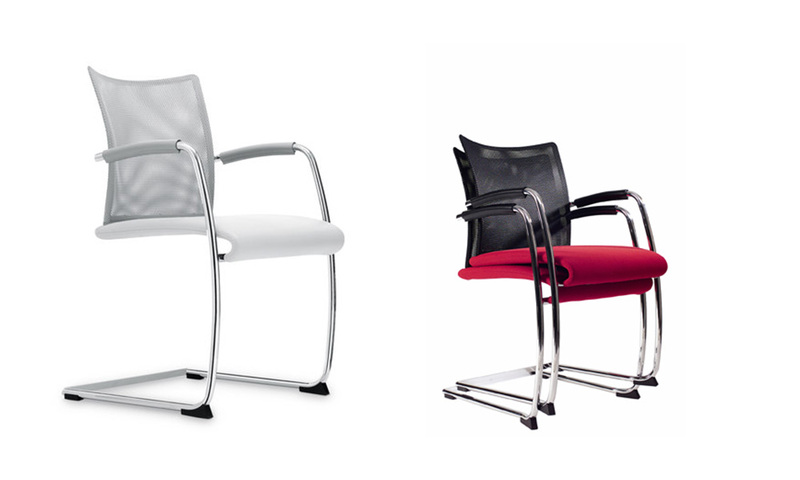 The back is upholstered in breathable mesh in 2 colours or 4 kinds of leather. 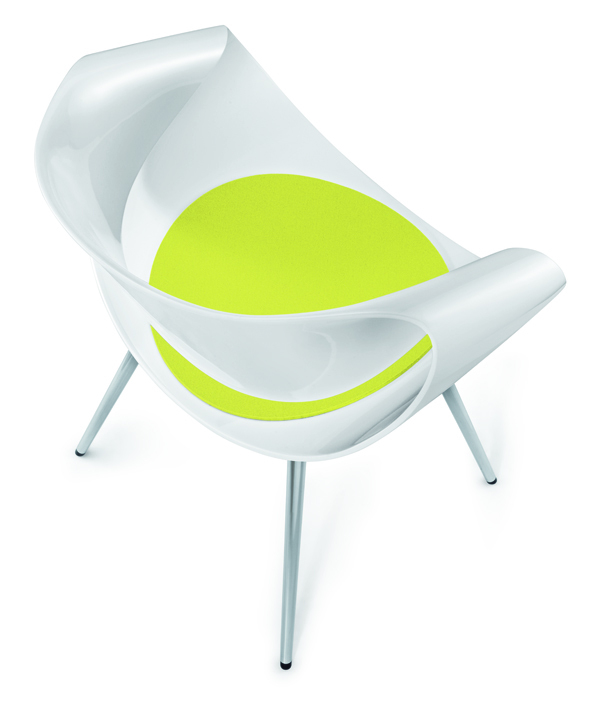 The seat can be fully upholstered in fabric or leather. 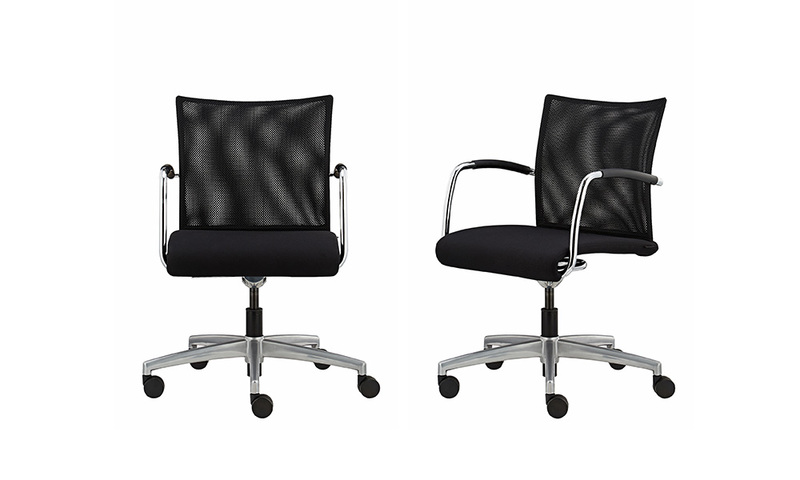 The core leather armrests come in black or light grey and fully match the mesh fabric. 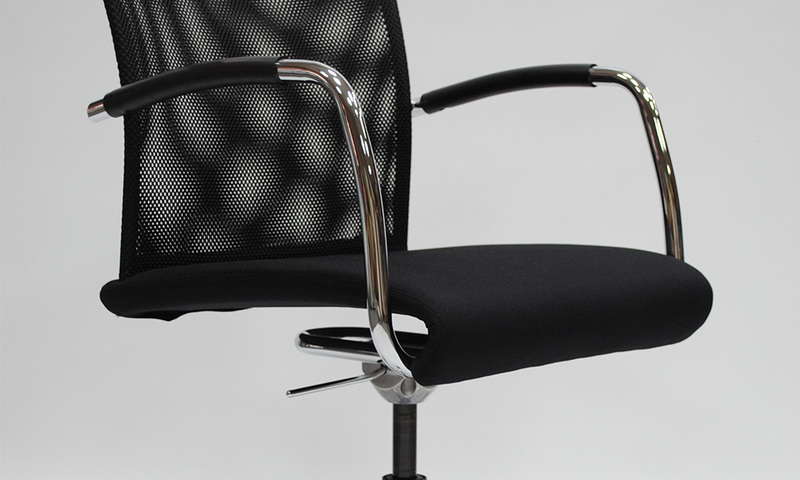 The transparent woven backrest increases the active circulation of air. 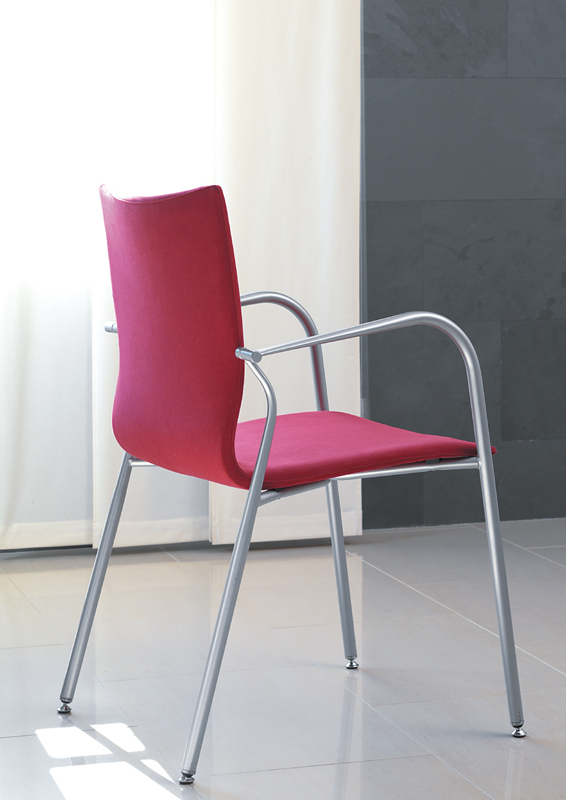 The elastic seat manufactured with breathable foam holds its position so that the user is comfortable for hours. 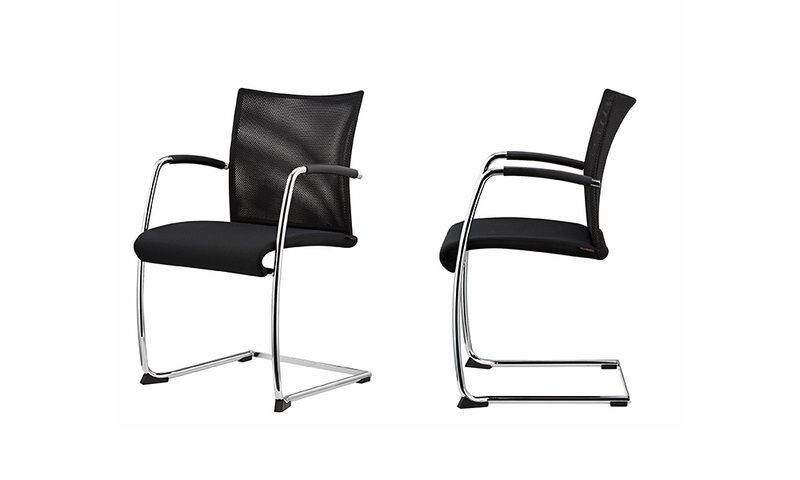 The cantilever design is also available in a stackable format. Only available with fixed armrests.